When reaching out to a prospect for the first time, it generally takes a few tries before they are ready to make a purchase. If they look to your website for more information, they may get what they are looking for but remain anonymous. 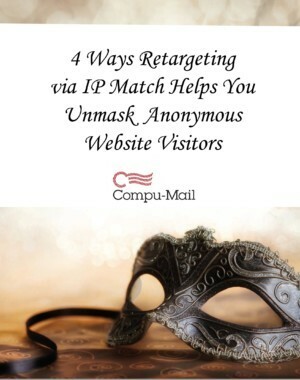 Matching information to their IP address enables retailers to keep marketing messages in front of the individual via multiple channels including banner ads, site ads and most importantly direct mail.